Derrick - While I'm sincerely hoping for the best, what happens if Fowler is hitting under .200 at the close of Spring Training? Aside from injuries, is this the worst-case-scenario of the spring? His batting average will be an awful way to judge his spring training -- whether it's low or high. I think Rick Hummel put it well in the Best Podcast in Baseball when he said that Fowler has to hit with "authority" this spring, and that his production will be best measured by his timing and how hard he's hitting the ball, not whether he sneaks an 88-hop grounder by the shortstop for a hit or, in your example, doesn't. Does he walk? Does he drive the ball? Does he move well on the bases and does he look more comfortable in right field? These are the things to watch during spring training -- and if he struggles at these things then the Cardinals aren't going wait for April to come along to give Fowler's ABs to a Jose Martinez or to a Tyler O'Neill, depending on their performance. I'm having a hard time thinking how anything other than an injury would be the worst-case scenario. Clearly the Cardinals are betting big on Fowler's bounce back, but they have depth at his position -- and a guy who hit pretty well available for those starts. How soon will you be able to determine the difference between a "Shildt camp" and a "Matheny camp?" Thanks for all you and the PD staff do for us Cardinals fans, DG. Which players are in "the best shape of their lives"? Not sure. Not really something I ask because it's nonsense. Some of the media members are, for sure. In your opinion, more specifically, Oquendo's opinion....how does Ozuna's throwing mechanics look post correction? Like he's just getting started. Seriously. It's like Day 3, and his work is like Introductory Throwing at this point. Do you think that the Holland experience last year will have any impact on the Cardinals willingness to secure late developing deals? No. They still have Lohse and Norris in the ledger, if they count as late deals. So they've had some success. The Holland Experience does seem to have left the Cardinals less enamored with a brand-name closer though. That is obvious. If Lane Thomas lights it up in Spring Training and Harrison flounders, who is starting in center field on opening day? Here’s my prediction for the final 2019 standings. 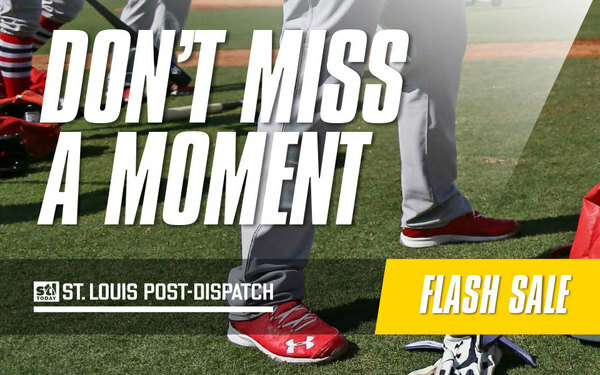 Harrison Bader likely would be, but the clock would be ticking, especially if Lane Thomas continues to have success in the minors. As we've discussed in previous chats, Bader's playing time is not entirely linked to his own performance. 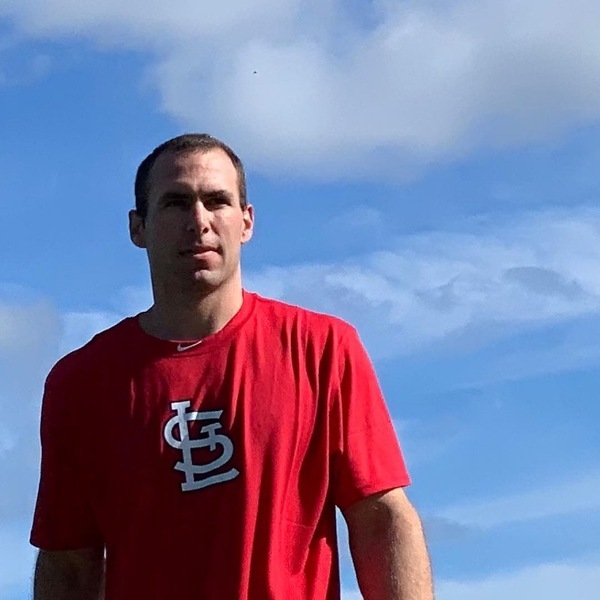 The Cardinals need offense from the outfielders flanking him to make carrying a glove-first center fielder possible, and that's Bader can be even if he struggles at the plate, and that would get him into the opening day lineup. But if offensive struggles persist throughout the outfield, the Cardinals would for a change, a jolt, and if Thomas is performing, that could be Thomas. Thanks for doing this from Jupiter, Florida DG (you lucky dog!). Let me get this crystal clear: you the chatmeister have seen Carp throwing this week and he is making throws like a typical big league infielder with an OK arm? You have actually observed this? I have observed this, yes. Any news on players who were early to report? I'd urged you to check out the coverage already posted at StlToday.com. Rick Hummel has a blog from this morning's activity. In Sunday's paper there was a preview of the coming spring training, and late this past week stories about Paul Goldschmidt's arrival. That will give you a general sense of the things going on here, for sure, and there is someone specific or some specific news you're asking about then by all means let me know. Thank you. Derrick, I really have Harper/Machado fatigue. Quite honestly I could care less where these guys sign, I’m just so sick of all the speculations. Here we are on the cusp of Spring Training and this show is still going on. Is there an end in sight? Is there any concern of repeat slow starts from Goldschmidt, Carpenter or Ozuna? Sure. It's baseball. There's always concern of slow starts. how long does powder stay dry? It's Florida. There's a pop-up shower everyday. Give it a few minutes. It will pass. Is Kimbrel a possibility if hes only looking in the 2-3 year range? Or did the Holland deal from last year make them weary about doing anything like that? The Cardinals have long been closer-prices adverse. Before Holland, the most money the Cardinals had invested in a closer was Jason Isringhausen earlier this century. They just didn't want to pay for past saves of name recognition when they felt they had a history of creating closers: Sala, Mujica, Franklin -- some of whom were All-Stars in the role, you'll recall. The Cardinals parted from that to get Holland -- and then were promptly reminded why they tried to avoid that approach. So now they're back into their comfort zone, and that's a place that Craig Kimbrel hasn't slipped. Early on in the process, I heard from a source that a two-year deal with Kimbrel held some appeal with the Cardinals. I have not heard that same thing recently, and yet the closer is still out there, as a free agent, because who isn't? If Harper lowers his demands in terms of number of years, you think the Cards could get back into the bidding? If Harper only wants 5 years, Cards would be foolish not to be interested. I agree they would be foolish not to enter the mix at that point. And yet there is no indication from the team that they intend to do that. Quite the opposite. Also, there has been no indication that Harper is willing to do that -- or will have to. Does the start of spring training give more leverage to the players yet to sign or teams still looking to add to their roster? Not if last year is any indication. Not at all. If Bader gets hurt or starts off slow,and Fowler is raking,does he go play center?Or,do you let one of the youngsters play center? Dexter Fowler is the team's right fielder. O'Neill and Thomas and Garcia and Arozarena are the depth chart in center. Lots of talk on universal DH as part of next CBA. For the "strategy is lost with a DH" camp, what are your thoughts on adding the DH and adding a "starter can reenter the game at anytime after being removed" rule similar to high school? Give the DH, and throw a strategy wrinkle into the game at the same time? I'm lukewarm on this. Either have the AL game or have the NL game. Enough with the wrinkles and complications. Replay went off the rails for me when the purpose was to give the manager another pit of strategy -- and NOT JUST GET THE CALLS RIGHT! Baseball too often goes for these lattice-work rules that create some unintended consequences, like the replay example or the 10-day DL, etc. There is no need to cloud up this change with some kind of wrinkle. Just commit. Who's the leading candidate for survivor Jupiter? Drew Robinson is going off at the best odds to win in Survivor: Jupiter history. You mentioned on the recent podcast that you see this bullpen being like the 2013 pen. If all goes well what is the highest upside bullpen by the end of the year and how does that compare to opening day. Great question, and it's something that will gain clarity as the season progresses -- far more than it will now. For example, Leone could be a part of the upside bullpen and the opening day bullpen, or he could be a part of neither. Not really sure until he's getting into games and there's a feel for how he's pitching. Thanks for listening to the podcast, because the notion I was trying to pass along is that you could see Cabrera arriving and bringing velocity like we saw in 2013 from, say, Siegrist. And there's Alex Reyes or Ryan Helsley who could be in the bullpen like Carlos Martinez and Trevor Rosenthal of that season. The parallels are there. Hudson, Miller, Hicks -- these are the bedrock relievers around which a strong bullpen can be built. And John Brebbia is right there as the likely fourth for opening day and best-option. John Gant and Mike Mayers would be in the next group -- and since both are out of options they're good bets for opening day obviously. could the public comment from the front office re Harper and other FA, be the Cards playing hardball with Boras? Might they want him to come to them?